Caroline Emery, Professor of Double Bass at the Royal College of Music, offers tips and encouragement to players of any standard on this brand new course featuring ensemble playing, practical workshops and the chance for individual feedback. Having an international reputation as a teacher of all age groups, her contribution to the double bass world is unique. 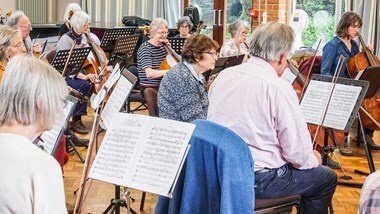 Group technique classes are also a favourite of Caroline's and can be for different levels exploring helpful concepts to aid ease of playing. A course not to be missed!